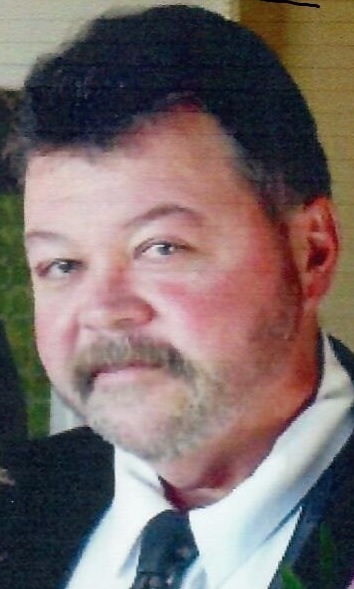 Jeffrey E. Baker, age 58, of Byfield, MA and formerly of Lynn, MA, died Monday April 16, 2018 at Massachusetts General Hospital from complications from surgery. Jeff was born on July 11, 1959 to Robert and Nancy Baker of Lynn, MA, he is survived by his beloved wife Elaine of 35 years, his daughter Erin and her fiancé, Braden Zamore of Merrimack, NH, his son, Joshua and his fiancé Jenny Gates of Amherst, NH, his son John and his wife Rene (ParticellI) of Byfield, MA, his precious grandchildren, Nolan Zamore, Maddyn Baker and Owen Baker with whom he loved to spend time with. Jeff graduated from St. John's Prep High School. He was a volunteer firefighter and EMT for the Byfield/Newbury Fire Department for over 20 years. He was active in the Triton Pop Warner Football Program for many years. At the age of 50 Jeff went back to school and obtained his LPN Nursing License which he was so proud of. Jeff was a wonderful, attentive and loving husband, father and grandfather to his own family as well as others. Jeff will be greatly missed for his kindness humor and awesome personality. In addition to his parents, he leaves behind four brothers, Timmy, David and his wife Regina, Jonathan and his wife Christine whom he had become very close to, and Andrew, his mother-in-law Patricia (Stretch) Flaherty, his sisters in law, Anne Flaherty, Paula Flaherty and Daniel Coleman, Mary Ellen Maurer, Michael Flaherty and his wife Julie, and Sheila Williams, many aunts, uncles, nieces and nephews, his special aunt and uncle, Paulette and Paul Kraskenewicz, as well as cousins, many friends and his Masco Nursing Home family. Jeff was the son- in-law of the late John F. Flaherty Jr. Calling hours will be held on Saturday, April 21, 2018 from 2:00 - 6:00 p.m., followed by a Funeral Service at 6:00 p.m. at the F. S. Roberts & Son Funeral Home, 14 Independent Street, Rowley, MA. In lieu of flowers donations may be made to American Cancer Society of Boston, 125 S. Huntington Ave., Boston, MA 02130, www.cancer.org or Dana-Farber Cancer Institute, P.O.Box 849168, Boston, MA 02284, www.dana-farber.org/gift.